In the fifth volume of the Hitchhiker series, Random, the daughter of Arthur Dent, leaves her remote home planet on the edge of the universe to set out on a odyssey in search of her ancestors' native planet. Simultaneous. 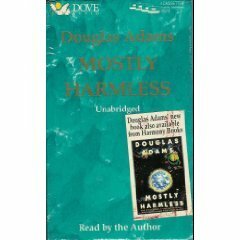 Amazon.com description: Product Description: In the fifth volume of the Hitchhiker series, Random, the daughter of Arthur Dent, leaves her remote home planet on the edge of the universe to set out on a odyssey in search of her ancestors' native planet. Simultaneous.